When we talk about people creating puzzles, certain standard materials come to mind. Pen and paper. A computer program like Crossword Compiler. For brain teasers and puzzle boxes, wood is common. Recently, 3-D printers have made it possible to create plastic puzzles the likes of which no one has seen before. But we rarely talk about metal. 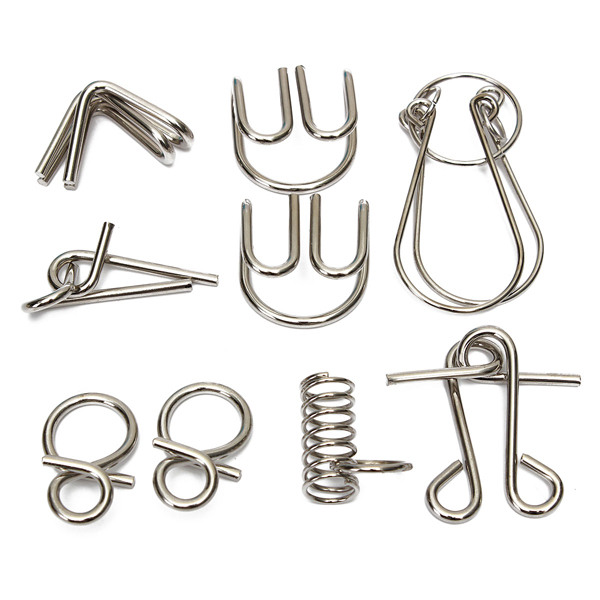 When it comes to disentanglement puzzles, metal is where it’s at. Wood and plastic pieces can flex under pressure, making them more susceptible to a forced solution where one wasn’t intended. But with metal puzzles, you’ve pretty much only got one option: solve it as intended. They can be basic or complex, depending on how many pieces are involved, but the goal is usually to separate each puzzle into its component pieces. Of course, these puzzles might look slight when compared to the heavy-duty ones produced by companies like our friends at Tucker-Jones House, whose Tavern Puzzles line combine complexity with artful craftsmanship to create some impressive and daunting puzzles. 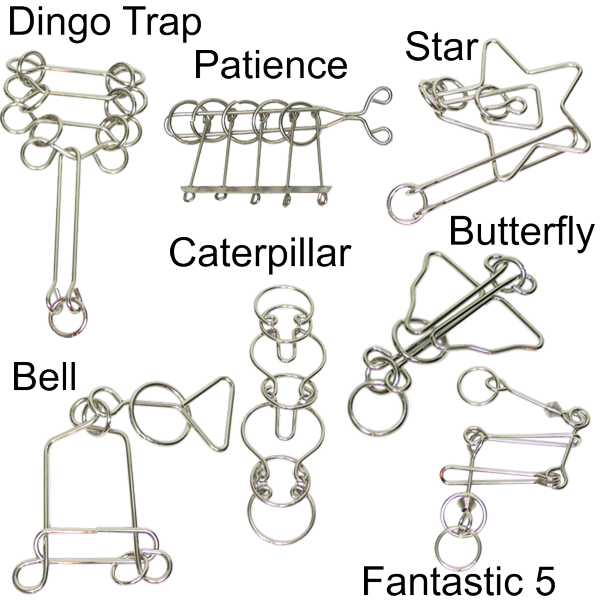 Instead of completely dismantling the puzzle, Tavern Puzzles usually have a single element — a ring, a heart shape, a triangle — that you must free from the rest of the metal pieces. But when it comes to metal puzzles, it’s hard to top this recent masterpiece by metalsmith Seth Gould. 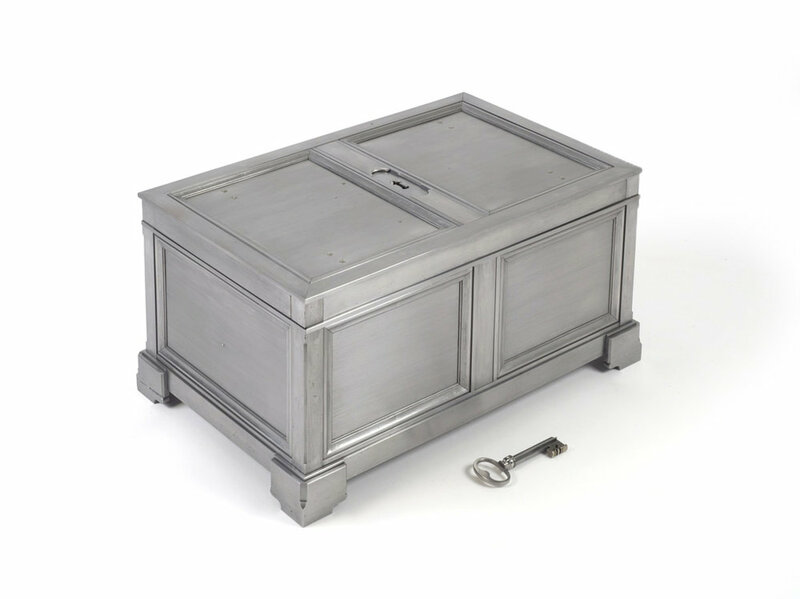 Yes, it looks like a simple chest and key, but as you’ve no doubt figured out, there’s far more to Coffer than meets the eye. 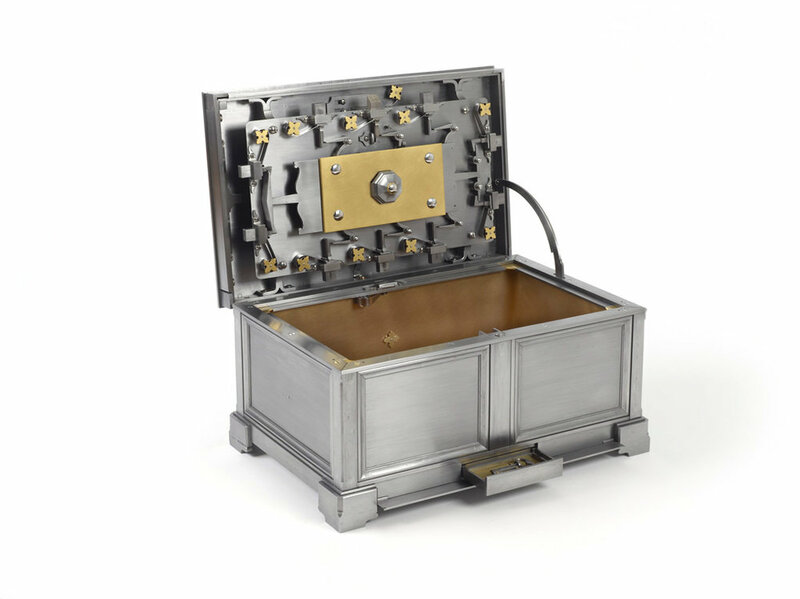 This puzzle took over two years to design and create, and it’s made from iron, steel, and brass. I received a BFA in Jewelry and Metalsmithing Design, and during the end of my time in school I became interested in forging. In fine metals I found that I worked well with the precision needed to create quality work, and in forging I was drawn to the malleability of the material and the scale in which I could work. It was not until I visited Musée Le Secq Des Tournelles in Rouen, France shortly after graduation that I realized how those two interests could intersect. The locks and utilitarian objects I saw there were unlike anything I had ever seen, and still influence me today. Now that is the ultimate in DIY puzzling. Constructors and puzzle designers are continuing to push the envelope when it comes to mind-blowing, beautiful brain-teasing creations, and whether we’re talking paper, wood, metal, or 3D printing, there seems to be no limit to what puzzly minds can bring to life.